UPDATE: A protest has been planned in the wake of this decision – click here for details. MedStar Franklin Square Medical Center has announced that it will be consolidating some of its pediatric services into its main hospital services this month. The Rosedale hospital will closing its pediatric inpatient unit and emergency room as part of the effort. “There is a transformation taking place in our healthcare system nationally and locally, which translates into patients seeking treatment in lower cost, non-hospital settings. This includes our pediatric patients as well. Urgent care sites, including our MedStar PromptCare centers, provide convenient access for patients at a lower cost than hospital emergency departments. The impact of the growth of these entities has been a decrease in pediatric admissions throughout the state by approximately 23% over the past five years. 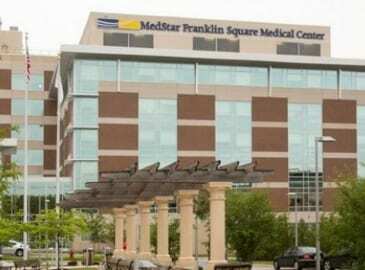 At MedStar Franklin Square Medical Center the decrease is more than 40%. “This week, we begin the process of consolidating our pediatric emergency services into our main emergency department where our young patients will continue to receive pediatric emergency care. We remain committed to treating pediatric patients in the emergency department, and will continue to call upon the expertise of a staff of pediatricians working there.